Burton Joinery and Burton Laminates are a long established bespoke joinery manufacturer and high pressure laminate company. We work equally with the public, small businesses and large manufacturers providing services and products ranging from bespoke furniture, shelving, retail fit out, cubicles, IPS panels, kitchen worktops, bespoke joinery, laminated panels, reception desks and more. We have been established for 30+ years completing high end bespoke joinery contracts and supplying businesses local and world wide with our knowledge of solid wood, high pressure laminate (HPL), wood veneer and a paint or polish finish. At Burton Joinery we pride ourselves on our quick and friendly service with our long standing clients and new clients alike with the process of design, build, and supply whilst working closely with other fitting companies. We strive to set be the leader in bespoke joinery in Essex. Bespoke joinery and bespoke furniture for the home. Wardrobes, TV Units, Storage and much more! Supplying laminated and melamine cubicles in a huge range of colours. Bespoke laminated, veneered or melamine reception desks. Making bespoke conference room equipment from laminated conference tables to feature walls with telivisions popping out. Straying away from the norm we can help with your bespoke joinery project. We've done everything from trees to light surrounds! We specialise in oak and oak veneer office dividers. Great for separating a room without enclosing it in. Oak room dividers custom made to size. Custom display units, shelving and more! Laminated, melamine, spray finish, solid wood or veneer. Laminated or Melamine IPS Panels and IPS Units along with bespoke vanity units to fit your bathroom. Supplying custom laminate doors, veneered doors, painted doors along with frames to suit. A huge range of laminating services. Simple formica panels, postformed doors, custom shapes sizes and colours! We provide a cut and edge service for a range of materials. One panel cut and edge service or large orders that are subcontracted, we can provide. From hardwood desks to laminated cradenzas, feature walls to filing systems, we can provide it all. Producing everything from a whole new kitchen tea point to a single bespoke unit for your kitchen. Providing melamine and laminated lockers by the bucket load. Bespoke lockers fit for purpose. Bespoke Shelving - Laminated shelving, hardwood shelving, melamine shelving, painted shelving, stock room shelving. 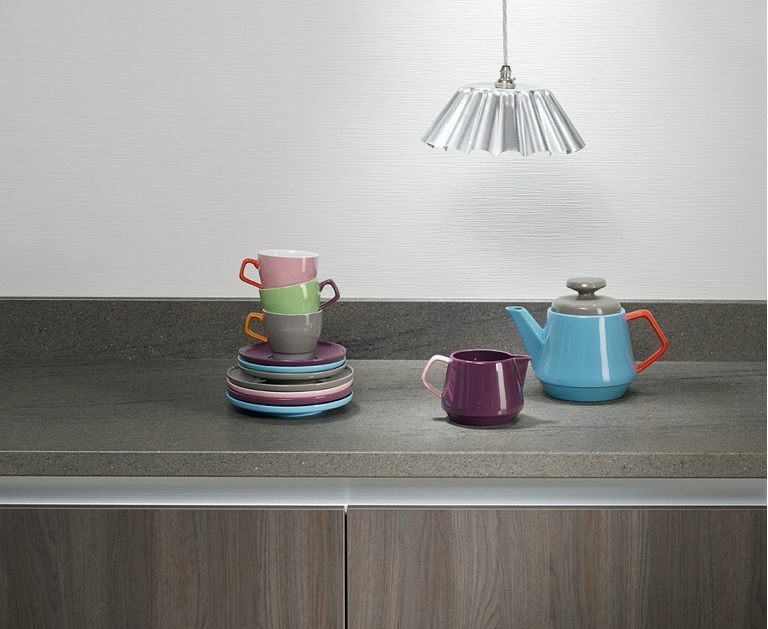 Providing laminate and hardwood worktops as well as bespoke kitchen worktops. Cut to size worktops. We're proud to say we're a 3rd generation company that has been going for 30+ years, working with a range of clients both local and worldwide. Please press the link below to find more about our companies history and ethics.